We have been importing, selling and servicing Speed Queen® laundry equipment for over 30 years. We are Africa’s No. 1 laundry equipment supplier, with the widest equipment range. We have unparalleled breadth of experience and knowledge and we are uncompromising when it comes to product quality and technological superiority. We know what we are talking about. The washers and dryers that are built for long- lasting performance in laundromats, hospitals, hotels and military bases are the same machines built to last 10,400 cycles in your home – that’s 25 years of commercial-grade laundry performance. Speed Queen® washers and dryers are durably constructed using premium materials for long-lasting, reliable performance. We take a mindful and deliberate approach to building the most reliable products on the market. We pay attention to every detail, we only use the highest quality parts and we never cut corners. It’s true. 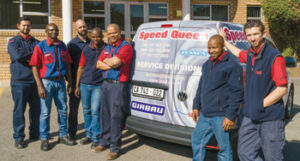 Speed Queen ® offers the Longest Warranty in the home environment in South Africa. View our product range for more information. Speed Queen® machines can wash a huge load with ease. Curtains, bedding, rugs, car seats, plush toys – Pile them all in. 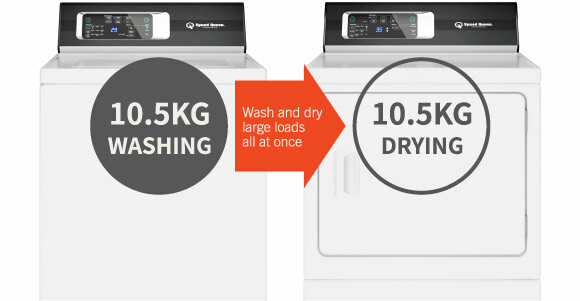 Speed Queen top load washers feature a one of a kind wash system that not only delivers the best wash available, but also takes care of clothes. Our auto fill system guarantees that every load uses the optimal amount of water for an effective wash. The tub and agitator work together to create a gentle wash action that moves the optimal amount of water through the clothes providing the customer both a premium wash and premium level of fabric care. The tub and agitator work together to create a gentle wash action that moves the optimal amount of water through the clothes providing the customer both a premium wash and premium level of fabric care. Confidence that your favourite jersey is safe once the washer lid is closed. All benefits of the Speed Queen top load washer’s innovative design. ll system guarantees that every load uses the optimal amount of water for an effective wash.
Lower levels of moisture than direct competitors after the spin cycle means less drying time and less electricity cost per load to dry. Comprehensive spares stockholdings in all major centres so that you do not have to wait for spares to be imported or couriered from one branch to another. Factory trained technicians employed by Lead and working ONLY on Lead brands. Direct technical support from Lead technicians in Joburg, Durban, CapeTown, Bloemfontein, Nelspruit, Port Elizabeth, Windhoek and throughout South Africa. We do not stand alone in our opinions. Thousands of women across America agree that Speed Queen ® is the best domestic washer on the market! 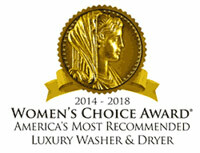 Speed Queen® has been voted America’s Most Recommended Luxury Washer & Dryer 5 years in a row.